Our friendly Morecambe Estate Agency branch is located at the heart of town. You can find us on Victoria Street opposite the Post Office and near the entrance to the Arndale Centre. At Farrell Heyworth Morecambe our well-trained team pride themselves on offering our customers the very best service. Whether you are looking to buy, sell, rent or let a property we're working longer and harder to help. Our Morecambe team offer a wealth of local and industry experience and we combine this with the very best that technology can offer to give you a fantastic experience. Why not pop in and find out how we can help? Our office services the whole of Morecambe and also Heysham, Middleton, Overton, Bare and Torrisholme. What's it like to live in Morecambe? Morecambe is an excellent place to live, offering exceptional natural beauty in the form of Morecambe Bay, thriving local shops, cafes and restaurants and great transport links. As a tourist town Morecambe offers a number of entertainment attractions and is eagerly anticipating the much talked about Eden North Project. Morecambe Railway station links directly to Lancaster station and the West Coast Mainline and the recently opened Bay Gateway links the town directly to the M6 motorway. The town is a fantastic base to access the Lake District, Yorkshire Dales and Bowland National Parks and provides a beautiful, safe and affordable location for your move. Our office is regarded as almost a local landmark with it's prominent high street location and extensive window. A wide range of property to suit all requirements is available with a register of over 200 properties covering all budgets, ranging from first time buyer properties through to luxury homes and investment properties. When available we also offer off plan properties from a range of local luxury developments. We'd be delighted to welcome you to our branch to help you find your perfect property in Morecambe. John Holloway is our Branch Manager for the Morecambe branch and has 19 years of experience in the Morecambe Bay property market. John provides overall supervision of the Morecambe Office with responsibility for property sales and rentals in the LA4 and LA3 postcodes. 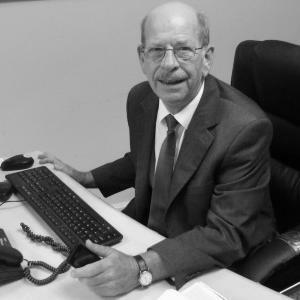 John has worked at Farrell Heyworth for 16 years and has experience in sales negotiations, valuation advice, conveyancing procedure, property rentals and property management. Please contact John to arrange a meeting to discuss your property and moving needs. Barbara has been working in Estate Agency since for the last 14 years. Since that time she's been working hard in a variety of businesses and positions to gain the experience and professionalism to help you sell you home. It's been more than 10 years since Barbara began valuing homes in the Morecambe area so you can rest assured, when she carries out a appraisal on your home, you'll achieve the best possible price. 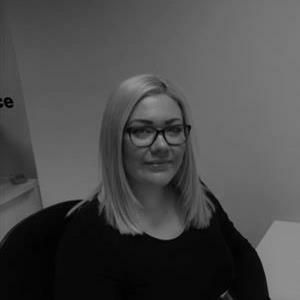 Michaela McGuiness works as one of our key sales negotiators and has holds a high level of experience in the local property market. Michaela provides front of house contact with clients within the Morecambe Office with responsibility for negotiations of property sales in the Morecambe and Heysham area. Suzanne has been working locally in the estate agency industry for the last 4 years and has established herself offering good customer service and comprehensive guidance to property buyers and sellers. As your assigned negotiator Suzanne will use her local experience and knowledge of the property industry to ensure that your experience of the sales process is as stress free as possible. Beverley has worked for Farrell Heyworth for over 11 years and during that time has helped hundreds of satisfied clients to buy and sell houses. As your assigned negotiator Beverley will use her local experience and knowledge of the property industry to ensure that your experience of the sales process is as stress free as possible. Becky has been working in sales and customer service for 12 years. After starting her career at Farrell Heyworth as a Sales Negotiator she has built up a wealth of knowledge within the industry and is now here at Morecambe to carry out Market Valuations and provide you with the best advice to sell your home for the best price possible. She has lived in the local area all of her life so knows everything there is to know about the place she calls home. Eric really is the Morecambe lettings expert. With over 12 years involvement in the local lettings market we think Eric's property knowledge is second to none. If you are a prospective landlord Eric will visit your property, advise on lettings legislation, discuss with you the various options open to you as a landlord and how to achieve the most out of your property. And if you're looking for a property to rent you can bet that he'll know just the right property to suit you. Eric really prides himself on offering a personal service and whether landlord or tenant you can rest assured that Eric is the key to your home. Having worked for Farrell Heyworth for over 9 years there’s little Fred doesn’t know about the local area or the property industry. Fred is responsible for carrying out the majority of accompanied sales and lettings viewings here at Morecambe branch. So, if you want to view a property chances are Fred will be your guide. Jane joined Farrell Heyworth 13 years ago and has over 20 years of experience in Financial Services. With her reputation for expert, professional advice with an emphasis on great service, it’s no wonder that Jane won the 2014 Farrell Heyworth award for Outstanding Customer Service, as voted for by her customers. The advice that Jane gives is completely independent and she takes great pride in guiding Buyers through the house buying process and tailoring her advice to ensure her clients get the very best mortgage deal and protection they need. Through Mortgage Advice Bureau, the Uk’s largest independent Mortgage Brokers, Jane has access to all of the best mortgage deals and exclusive deals too. So if you’re buying a property, remortgaging or want any other advice on mortgages or insurance products call Jane today. Dan joined Farrell Heyworth in 2009, bringing with him over 15 years of experience in financial services. As part of Mortgage Advice Bureau, the UK's largest high street based mortgage brokerage, Dan has access to a huge range of mortgage products to ensure that you get the best and most competitive mortgage for your needs. Dan takes pride in offering a first class service to his clients, his work ethic, 'can do' attitude and absolute determination has seen him win national awards including Best Overall Broker at the British Mortgage Awards 2014. Request a viewing, call Morecambe on 01524 832929 or submit the form below. To book your free property valuation, call Morecambe on 01524 832929 or submit the form below. Request a callback, or contact Morecambe on 01524 832929. You can order a Homebooster for your property online, or by calling Morecambe on 01524 832929 or submit the form below. Call Morecambe on 01524 832929 or submit the form below.